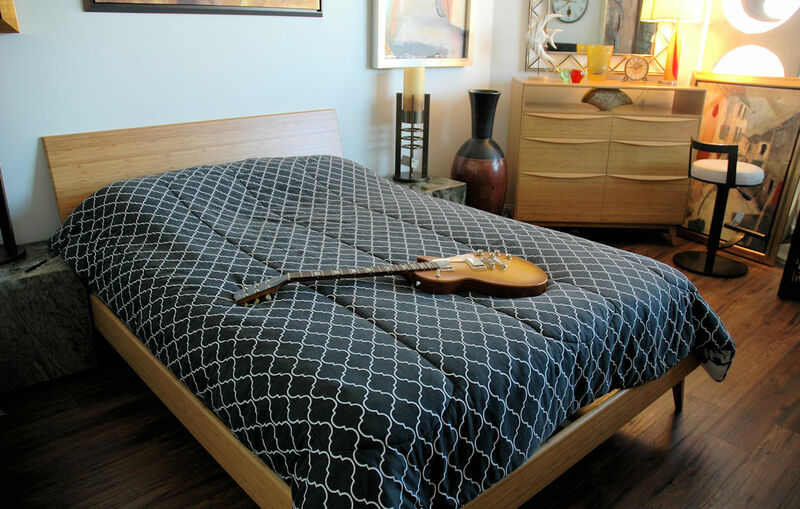 Sustainable solid bamboo collection. Self closing drawers. In Stock. 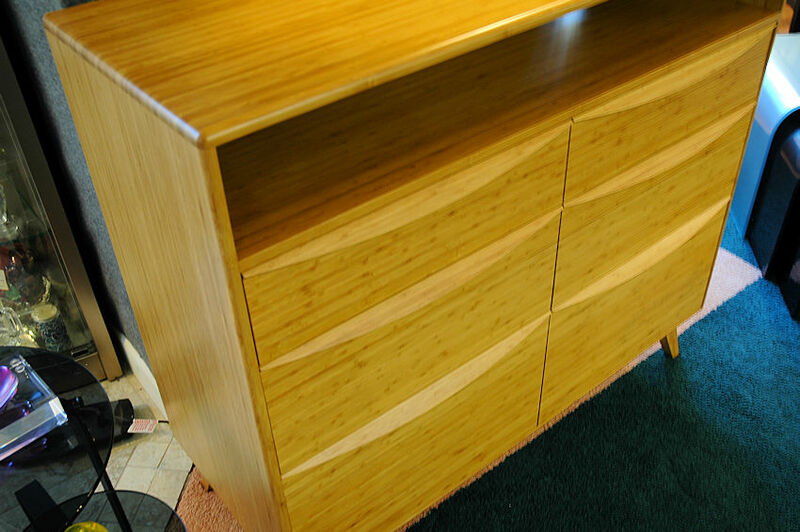 Solid bamboo in satin hand rubbed finish. Finished in the back. Self closing drawers. 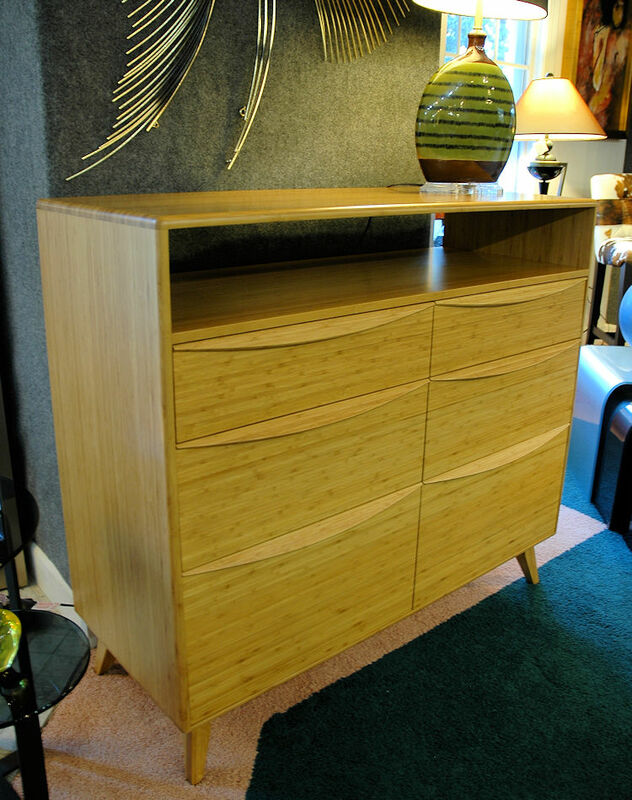 This photo shows the stunning look of the solid bamboo wood. 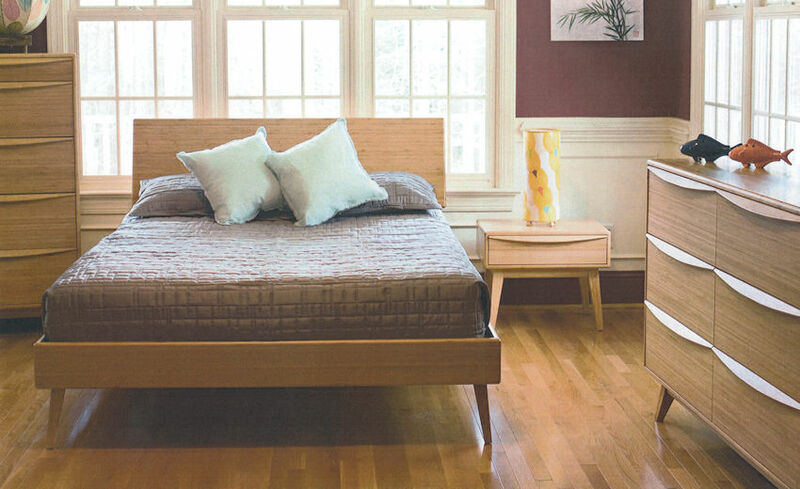 Quality solid wood furniture. 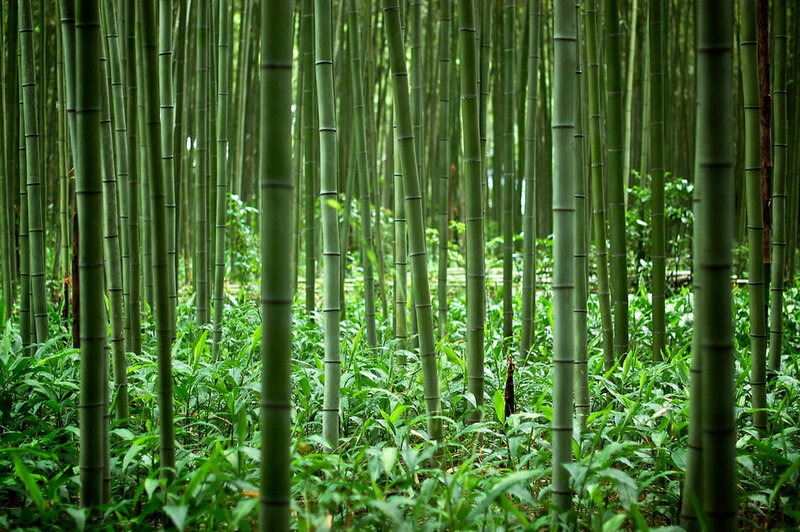 Sustainable Bamboo collection. Self closing drawers. In Stock. With natural granite top. 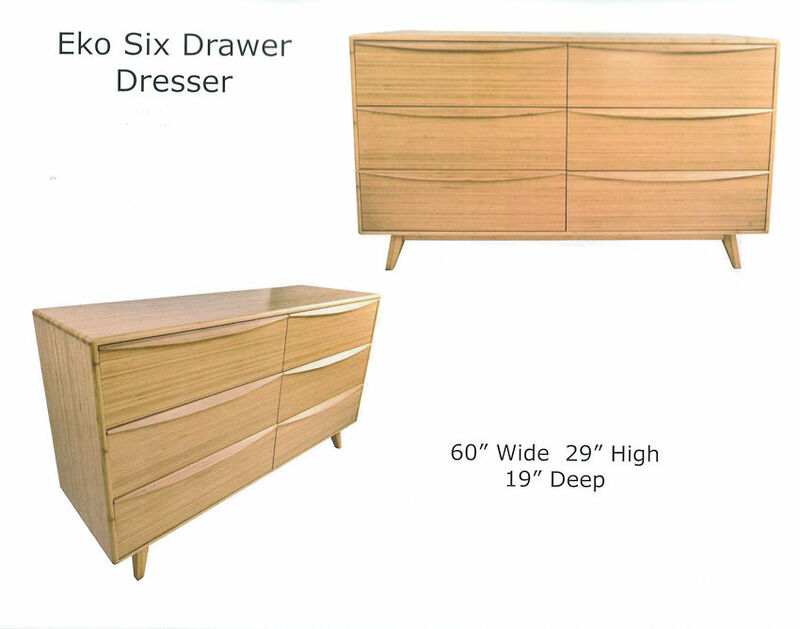 Self closing drawers. In Stock. 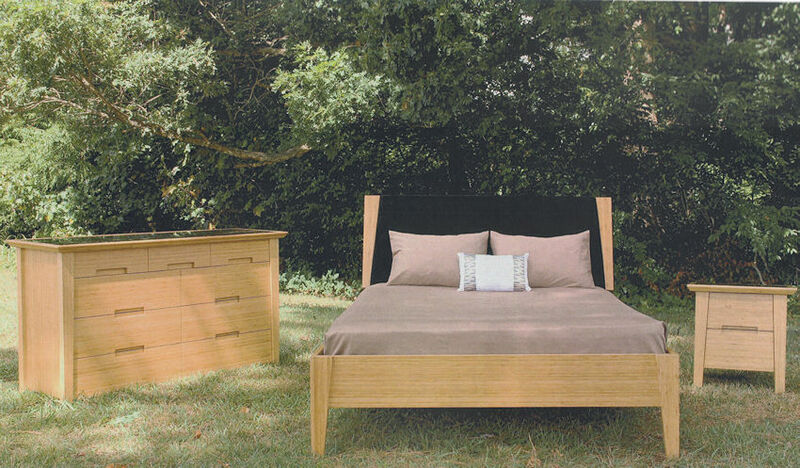 See the new Bamboo bedroom furniture made from renewable solid wood with self-closing drawers at our Designer Showroom. Web design by Gill Fisher.